Jobu reacts to the Paul Pierce trade. Ugh. Talk about a gut punch. When you talk about all-time Celtics, Paul Pierce has to rank among the top players. It’s tough to rank them all because the Celtics have the most storied history in the NBA, but Pierce is up there, not only because of his stats, but because of what he has meant to this team for the last 15 seasons. A couple days ago, in a draft night deal, the thing I’ve been dreading since the middle of this past season finally happened. 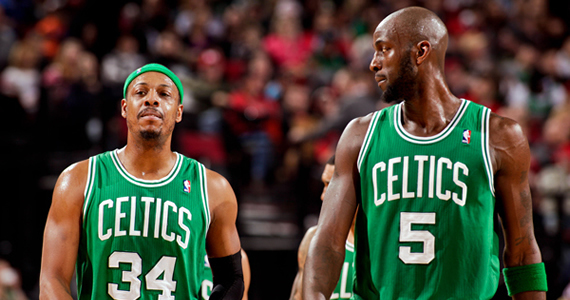 The Celtics traded “The Truth.” I guess it’s time to say goodbye. First of all, let’s review the trade for those of you who might not have seen the draft. I actually didn’t get a chance to watch it myself, as I was at the Bruno Mars concert at Mohegan Sun that night (performance wise, best concert I’ve ever seen), but I got the news when I got home. Luckily, it was 3AM and I was trying to get as much sleep as possible before heading to Manhattan in the morning, so I didn’t have much time to dwell on it. When I read the full story this morning, it hit me. The trade itself shouldn’t really be surprising. The Celtics are in desperate need of a rebuild. Pierce is older now, and very expensive. Financially and business wise, trading Pierce was probably the right thing to do for this team. However, when you trade two potential Hall of Famers, you might want to get back a more guaranteed haul. The Celtics sent Pierce, Kevin Garnett and Jason Terry to Brooklyn in exchange for the expiring contact of Kris Humphries, Kris Joseph, Gerald Wallace, Marshon Brooks, Keith Bogans (sign and trade) and three future first round picks (’14, ’16 and ’18). The ’14 pick will either be Brooklyn’s or Atlanta’s, whichever one is better, and the Celtics have the right to swap picks with the Nets in 2017 too. Everybody got that? Good. Here’s why I don’t like this trade from a team perspective. There’s no guarantee that any of those picks will be lottery picks. There’s also no guarantee that, even if they are, they will lead to successful players down the road for the Celtics. Even if they draft potential superstar guys, injuries could happen. One never knows. Secondly, Gerald Wallace’s contract, at three years and $30MM, isn’t good. He and Jeff Green will be making a combined $20MM in 2013/14, so it’s not like the Celtics are totally ridding themselves of financial responsibilities. 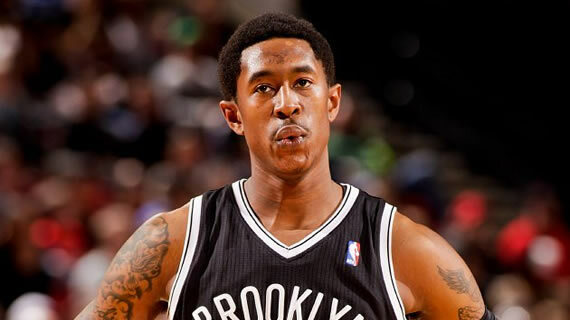 Thirdly, while I like Marshon Brooks, nobody they received in the deal has near the talent level as the players they gave up. Granted, you’re not always get that in a rebuilding trade, but you should either get full salary relief, or somewhat equal talent potential when dealing two potential HOFers, no? Maybe I’m just emotional because I love Paul Pierce. He’s been our truth for fifteen years. He helped take this team from a perennial loser to a world championship, and it wasn’t just with what he did on the court. Pierce was a true leader for this team, a solid veteran presence that, along with Kevin Garnett, helped keep this team motivated and in check. Remember when Garnett made Glen “Big Baby” Davis cry? That’s what KG and Pierce bring to the table. Who is going to do that on this team now? I’m also curious to see how this deal affects the Rajon Rondo situation. 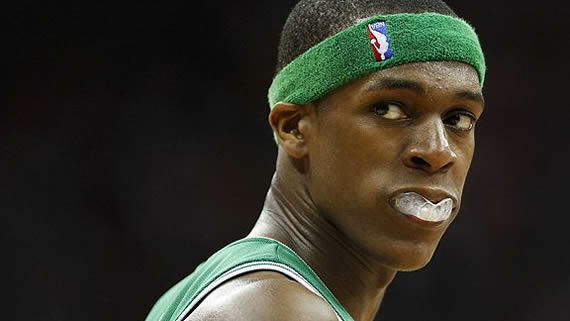 Rondo and former coach Doc Rivers didn’t get along, allegedly nearly coming to blows at least once. The Celtics reached a deal to send Rivers to the Clippers earlier in the week, which should make Rondo happy, but, now that he’s the veteran, is he going to be able to keep this team together? Does he have the makeup to do so? I certainly hope he steps up his leadership so that it matches his immense talent level, if the Celtics don’t decide to trade him too. Finally, I have made mention of the fact that I would be none too happy with the Celtics if they traded Paul Pierce. In fact, if they had traded him in the middle of last season like the rumor mill suggested, I stated that it might signal the end of my support for the Celtics. I think that might be a little too far for me to go right now, though. The fact that the trade happened in the off-season helps that a little, I think. But Pierce is, to me, what Larry Bird was to the Celtics fans of the ’80s. Yes, I watched Larry Bird, but by the time I was conscious as a fan, Bird was barely playing because of a bad back. To me, Paul Pierce is the Celtics. Now he’s a Net. A frigging Net! I’m actually very happy for Paul. Sure, he’s probably a little bummed to be leaving the Celtics, but he’s going to a very good situation in Brooklyn. He and Garnett, coupled with Derron Williams and Brooks Lopez, will make the Nets instant contenders in the Eastern Conference. Pierce will have the chance to win he wasn’t going to have in Boston if he finished his career with the Celtics. Good for him. He will be sorely missed, and not just because the Celtics seem to be headed for some lean times.